This year’s MovemberMania campaign has grown more than I ever envisioned. I got to go on TV to talk about Movember and even had two on-air personalities join my team. Now as the month winds down, I find myself getting ready to go back on Good Morning Memphis in the morning as Joey Sulipeck shaves off his mustache on air in an attempt to raise money. I’m also going on air to present the MovemberMania Media Mustache Champion trophy that I had made for whoever raises the most money between Joey and Matt Stark, the Fox 13 Sports Director. 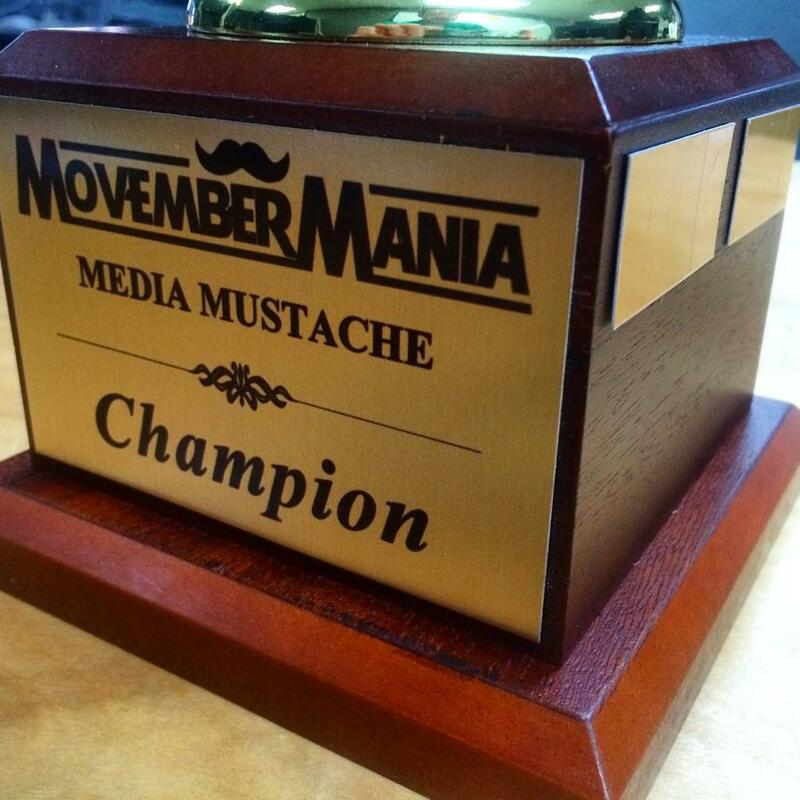 Someone at My Fox Memphis will win the inaugural MovemberMania Media Mustache Champion trophy at the end of Movember. They’ve helped spread the word about Movember by growing a mustache on air and shining a light on men’s health issues. We’ve already passed our goal of raising $1,000 this month, but we aren’t slowing down and are still looking for donations. 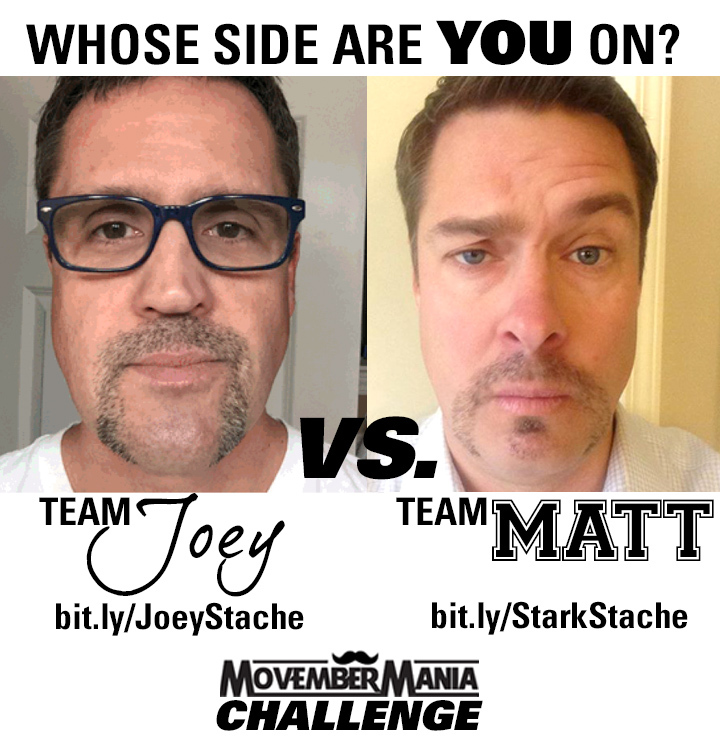 I’m been blowing up my social media pages for people to give to Joey or Matt. Please give whatever you can to whoever you’d like to see win the trophy this year. If you’d prefer to give to me or to the MovemberMania team, you can do that as well. I’ll ship a dozen cookies from Sweet Treats Bakery to anyone donating $30 or more to me. Gallery | This entry was posted in 2014, Daily Life, Movember and tagged daily life, health, life, Movember, MovemberMania, people, television, TV. Bookmark the permalink.